Vermont Aged Care is seeking an experienced registered nurse division 1 for a full-time position at our expanding aged care facility. In fact our busy, family owned aged care facility has been providing respite, permanent, dementia specific and palliative care to our residents for over 3 decades. So you’ll be joining an established team of committed professionals. Better still there’s no “nursing home” attitude at Vermont Aged Care. That’s because we believe in the quality of life and happiness of each one of our elderly residents. So if you want to work with a dynamic, passionate team of dedicated carers then this job is for you! Best of all, you’ll get to work closely with other medical staff and our family. This means that you can make a real difference in the lives of our residents everyday. Plus, your input is valued and you have the power to make positive changes. Together, we can ensure our residents receive the safest and best care available. Furthermore, did you know that Vermont Aged Care is located in Vermont, near to Mitcham, Burwood, Ringwood, Glen Waverley, Wheelers Hill, Wantirna, Blackburn and Box Hill? Better still, we are easily accessible by road and public transport. In fact, the 740 and 742 buses stop right out front of our door! What’s more we are undergoing major additions and improvements to our facility in 2017. Of course, this is set to the sides of the existing facility so no one is disrupted. Nonetheless, when completed in the coming weeks we will be able to provide the latest technologies and facilities to each of our residents. Please see the full job details below. Click here to go ahead and apply at the bottom of the page. Who will I be accountable to? Who will give me the support I need? You will be accountable to the Director of Nursing, who is charged with ensuring you have everything you need to enjoy your work at Vermont Aged Care. Better still, as a family run facility, you’ll have access to the decision makers on a daily basis. In fact, our family focussed community is just one of the things that sets us apart and makes working at Vermont Aged Care so special. Who will I be caring for and working with? You will be providing care for the Residents of Vermont Aged Care. These residents may be here for respite care, dementia support, long-term aged care or palliative care. Also, you will be working in a team with all the nursing staff present on the shifts worked. Plus, as a family operated facility, management support is always on hand. You must be a Victorian Registered Nurse, Division 1. In fact, due to the nature of the role, you must have this qualification to be considered for this post. Also, if you have previous experience in Gerontic Nursing that would be well regarded. Finally, whilst it is not required, we would prefer it if you hold a Postgraduate Gerontic Nursing qualification or are working towards one. In fact, we are happy to discuss supporting your commitment to further education as ongoing learning is highly valued at Vermont. Why not work at Vermont Aged Care and undertake ongoing study? What is the salary you offer? We pay as per the award based on your experience and educational qualifications. We may also support your ongoing education. Further, if you would like to discuss a career plan based on your experience, education and skills just let us know. Your roster will be agreed upon together with the Director of Nursing. In fact, at Vermont we try hard to find the right work/life balance for all our team members. That’s just one of the ways that we ensure a great working community at Vermont aged care. Read on to understand this role better. Once you have read through this, if you feel this is the right job for you, simply apply at the bottom of the page. What are the responsibilities & duties of my role? What about ongoing learning and my education? 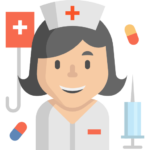 We will support you in the maintenance of clinical knowledge and skills in Gerontic Nursing care. For example, you will be attending regular in-services and information sessions. Further, on some of your shifts you will attend regular lecture sessions as provided by one of our staff of off-site specialists. Better still, off-site training and events may be provided to you as required. In fact, these are just some of the ways in which we ensure our continuing commitment to your further education is promoted. You will learn more if you are shortlisted for an interview. What’s it like being a team member at Vermont? We provide a happy, collaborative work environment for all staff. It’s part of the family operated community that makes us so special to work for. Further, as a community we can be very efficient in the allocation of work amongst staff to ensure a great work/life balance for you. Better yet, ongoing assistance in quality improvement exercises are provided by the Director of Nursing as required so you can focus on being a great nurse. What about WH&S/OH&S & safe practices in the workplace? What should my communication skills be like? Ensures all legal documentation requirements are upheld at all times and promoted to all staff. What about professionalism in the workplace? Is there anything else I need to know before applying? Of course, with palliative care sensitivity and compassion are paramount. An important part of your role will be to ensure that the Director of Nursing is informed of the serious deterioration in any resident’s health. Then, you will provide the appropriate level of professional care and comfort to the residents, their family and visitors to ensure a peaceful and dignified death. Overall, you will assist our other nursing staff in the interpretation of the ethical and legal aspects of our nursing practices & resident care.